A Tribe of Noise Spotlight Interview with an amazing talent. …and watch the short documentary about Joshua at the bottom. I first heard the hammered dulcimer when I was 4 on a cassette tape. I told my Mom, “that is so beautiful, I promise I’ll learn to play that by the time I am 30.” When I was 9, I physically saw the hammered dulcimer for the first time at a music teacher’s house. I told her “I’m supposed to play that!”. I immediately took a lesson and never looked back. 24 years later, I am a full-time professional hammered dulcimer player having the time of my life. Obviously, life has changed drastically since I was 9. However, one of the things in life that has remained a constant is my love for the hammered dulcimer. I’ve never lost the fascination and wonderment of this percussion instrument with strings. It’s just too cool! We’ve all heard the joke, “Oh, you’re a musician – what is your real job?” It’s easy to laugh at the joke, but the older I get the more I am offended with the cultural mindset that music isn’t a real job. Art isn’t supplemental, it is essential to our wellbeing. Music is a real job. The real question is are you, the artist, capable of owning, managing, and operating a business? In business there are technicians, managers, and entrepreneurs. Being a musician is a technical skill. But you also have to manage and essentially “franchise” your business model as the entrepreneur. When people ask me “what do you do?” I’ve virtually stopped telling them I’m a musician – that generates a response such as “my grandson is learning to play the trumpet”. I care about your grandson, but … I do so much more than play an instrument. I run a business. Instead, I usually reply “I’m a creative professional” or “I’m involved in music production” ... or something along those lines. This will help guide the conversation to revolve around business-ownership and more accurately represent what I do. Ultimately, this has an impact on how I see myself and ultimately improves my self-esteem. To answer the question – music is a business. I’d encourage all musicians to study business alongside your music education and training. Business and relationship skills are the primary vehicle through which your music will be heard. Happiness is found by living with a purpose that is beyond yourself. As a musician, this can be difficult to keep in perspective since your branding, marketing, and sales all revolve around “your name” or “your band”. But music is a service to share love, hope and healing – I try to keep this perspective in my heart. Music is bigger and beyond me, and there is freedom with this mindset. Music does not own me, and I don’t own music. I experience joy when I play, and I want to share that joy with people. So, to answer the question – what would I do if I were not making music? First of all, I’d miss it. But I’d do my very best to find contentment and reach out to the world to make a positive difference. Do you have any advice for other musicians? The most important person(s) at your concerts isn’t you. It’s yours fans. Engage with them. Talk with them. Love them. Invite them to lunch. Get to know them and establish a meaningful relationship. Show that you genuinely care about them. Your job is to inspire and serve your fans. There might be some rumbling about a video game soundtrack… Also, I’m contemplating a new solo album. I’ve recently helped design a brand-new hammered dulcimer, the Master Works “DulciForte” Joshua Messick Model. I’ve been working hard to sell it, and things are going very well. Check my video. 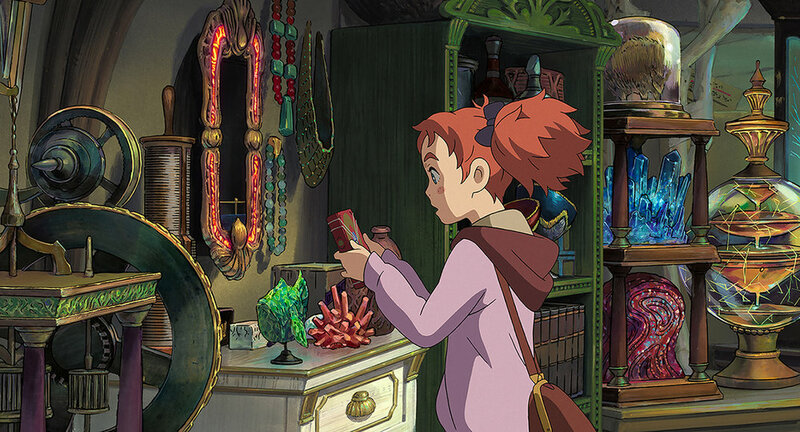 What was your experience working on the soundtrack for Mary and the Witch’s Flower with Studio Ponoc (successor of Studio Ghibli)? It was a highlight of my life to be the featured instrumentalist on the soundtrack. In total, I play about 24 minutes on the soundtrack. Studio Ponoc brought me to Tokyo to record where I worked closely with the composer, Mr. Takatsugu Muramatsu. His masterful soundtrack displays the strengths of the hammered dulcimer which includes powerful percussive energy and softer whimsical, ethereal moments. While recording, I could feel the music come alive inside of me with energy and excitement. I was also introduced to the Academy Award-nominated director, Mr. Hiromasa Yonebayashi, and Academy Award-nominated producer, Mr. Yoshiaki Nishimura. They were very kind and said they enjoyed listening to my CDs and YouTube channel. 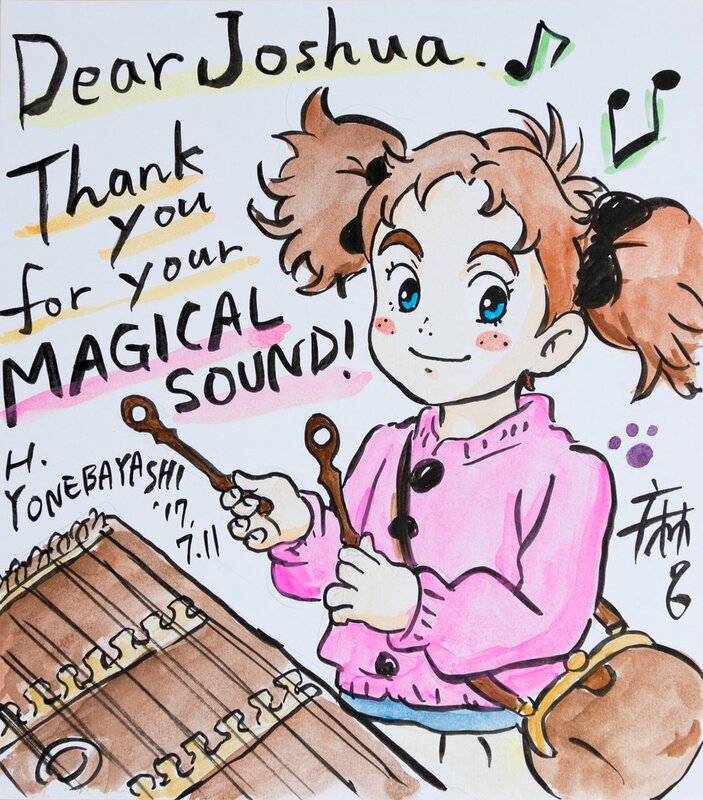 Mr. Yonebayashi said he wanted to share the hammered dulcimer with the world. He designed the wand of the character Flanagan after my dulcimer mallets. To my knowledge, Mary and the Witch’s Flower is the first featured film to highlight the hammered dulcimer in a significant role. I hope this soundtrack music helps many people appreciate the art of hammered dulcimer music. Lastly, I got to record the theme song “Rain” with Japan’s leading pop band SEKAI NO OWARI. The song was a huge hit on the Asian charts! I have a few fills throughout the song, and a 30 second solo beginning at 3:11. Like to learn more about Joshua Messick?